As the nation’s leading lacrosse services company, 3d Lacrosse has a unique and storied focus on training and individual player development. 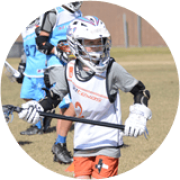 The 3d Methodology and our proprietary Box-Field Hybrid™ Development System create a cutting-edge environment that fosters rapid advancement of lacrosse IQ and skill. TrainingPlayers of any age or experience level benefit from 3d’s training camps, workshops and clinics by developing skill. TournamentsIndividuals and teams compete in national and regional tournaments drawing coaches from far and wide. SelectElite players receive the most intensive training and compete against the nation’s most respected programs. LeaguesPlayers benefit from competing in regional year-round leagues structured to foster skill development.